Our BRE Software Connection allows the clerk to lookup the trade values of video games to make sure that your store is able to pay the customer the most competitive price for the games they are trading. It also includes recommended selling prices so that you do not have to spend as much time researching the other game stores in your area. Download the trial and test out our BRE Software Connection for 7 days. The Used Game Alert lets the clerk know when there are used copies of a game on hand. One of the main goals of a Buy-Sell-Trade store is to turnover the used product as fast as possible so that you can get the most money out of each item. Used Game Alert helps your clerks suggest to a customer that they could save some money buy purchasing the used copy and also helps the store by increasing used game sales. Wolf Track Software allows you to apply discounts on the total ticket value. This is great when you are running specials that are dependent on a certain sales amount. A good example of this is 10 percent off all purchases over 50 dollars. You are able to easily apply the discount and also as the software administrator you can control whether an employee is allowed to give ticket discounts. 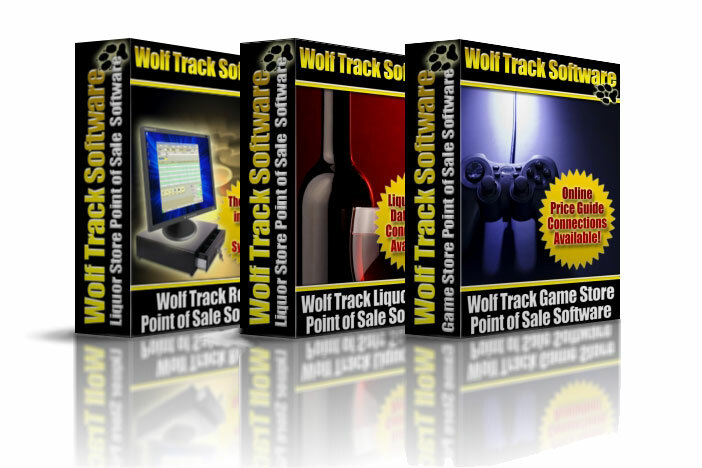 Wolf Track Point of Sale Software allows you to give line item discounts to your customers. A line item discount is when you are selling multiple items and want to discount a single item or multiple items but not the entire ticket. A great example of a line item discount is when you want to be able to sell a large priced item for the full amount but discount a lower priced item that will help make sure that the customer will come back to your store the next time they are looking for a good deal. Wolf Track software offers authorized employees to change prices at any time during a transaction simply by clicking on the price and changing the amount on a ticket. Doing this is a password protected feature keeping your system safe and secure. 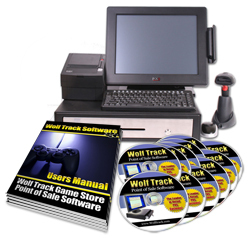 Wolf Track Software allows you to sell PreOrder/Reserve items to your customers. If a customer wants to reserve a special bottle of wine or a video game that has not been released yet. PreOrder/Reserve lets you view what customers have on PreOrder or Reserve, set a value for the PreOrder/Reserve item and even set what products that you want to have available for PreOrder/Reserve. Wolf Track Point of Sale Software makes it easy to track multiple tax values. Our POS Software makes it easy to setup a Value Added Tax and you can even choose whether to print the total tax amount on your receipts or the tax value for each of your taxes. 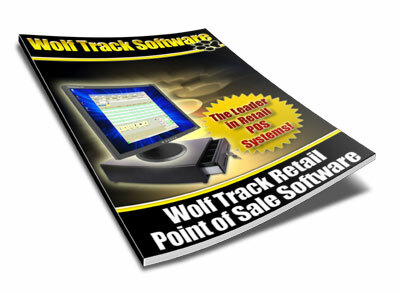 You are able to track your customers with Wolf Track Point of Sale Software. You can see the total sales for a individual customer, give specific customers a discount, and even create notes for customers. The PCI-DSS or Payment Card Industry Data Security Standards were made by the major credit card companies as a way to protect cardholder data and reduce the risk of fraud. When stores accept payment cards using systems that access, store, and/or transmit personal card holder data, they MUST comply with these standards to continue accepting credit cards.